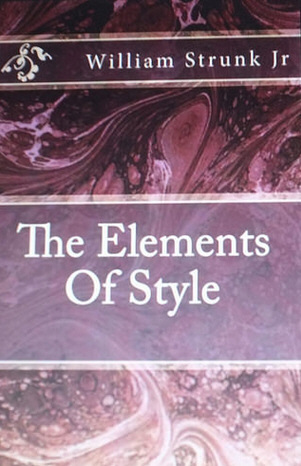 Elements of Style is still assigned. It was re-issued yet again in 2009 for its 50 year anniversary in revised form by the New Yorker’s E.B. White (“Charlotte’s Web”). The book is nearly a century old and still the gospel for reporters and essayists. I have other tricks up my writer’s sleeve. Sleek prose can only take you so far. But a funny thing happened on the way to self-righteous excision. This observation makes crisp prose sound snooty, even vain. Unnecessary words seem worse. Wiki editors note that reporters often add words, perhaps as explication, if not space-grabbing. The more the words, the bigger the story. Perhaps I was not the good writer everyone said I was. If good writing were this simple anyone—with or without the Hemingway software—could prune his own prunes, I mean prose! Now I’m looking for ways to get some unnecessary words in my copy. And if I can’t help pruning, so be it. I can’t quit my own blog. This entry was posted on Saturday, September 26th, 2015 at 3:59 pm	and is filed under The Global Scene Through Berkeleyan Eyes. You can follow any responses to this entry through the RSS 2.0 feed. Responses are currently closed, but you can trackback from your own site.